Hanna and Jake’s courtship seems out of a movie. 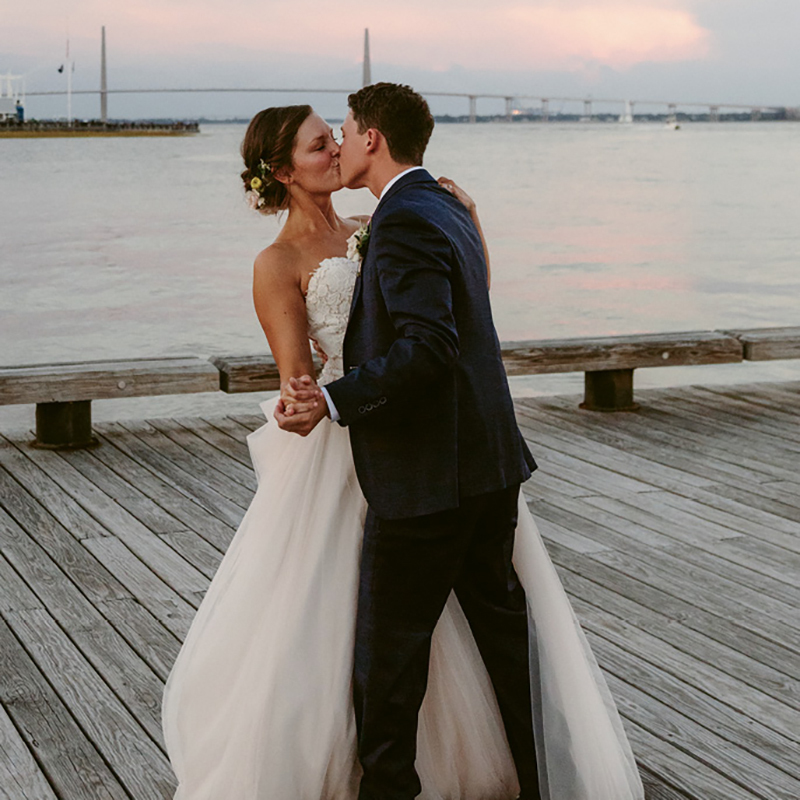 The two met at summer camp and dated long- distance for two years before Hanna moved to the Holy City to be with Jake, a College of Charleston graduate. Jake proposed at the Morris Island Lighthouse on Folly Beach, where the couple shared their first date. The wedding was held on the sunny rooftop terrace at the Harbour Club, packed with donuts and dancing, and the couple left the reception under an archway of sparklers.